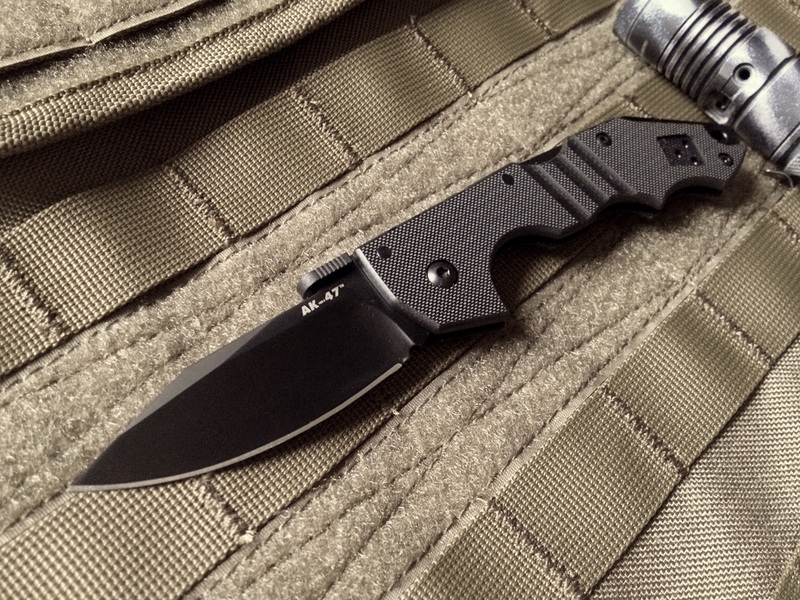 // Top pick for NK "Best compact tactical folder 2015"
// One the top pick favorites of NK for best tactical folder. Lightweight, secure grip with a wave deploying blade that has a safety if it unlocks. Tri-Ad lock strength & high quality XHP steel. The mini AK47 is one of the best EDC defense carry options. No non essential features keep the weight to a minimum yet you have a tactically well thought out folder. The wave feature & reversible pocket clip make this more versatile than an Emerson! //The pocket clip is reversible & the screws tap into steel inserts inside the handle. G10 is a glass epoxy that is extremely strong as shown in Cold Steel test videos, a G10 handled folder with no steel liners can hold 400lbs! // A size comparison of the AK47 next to the Mini AK47. The standard AK47 is a huge difference in size. 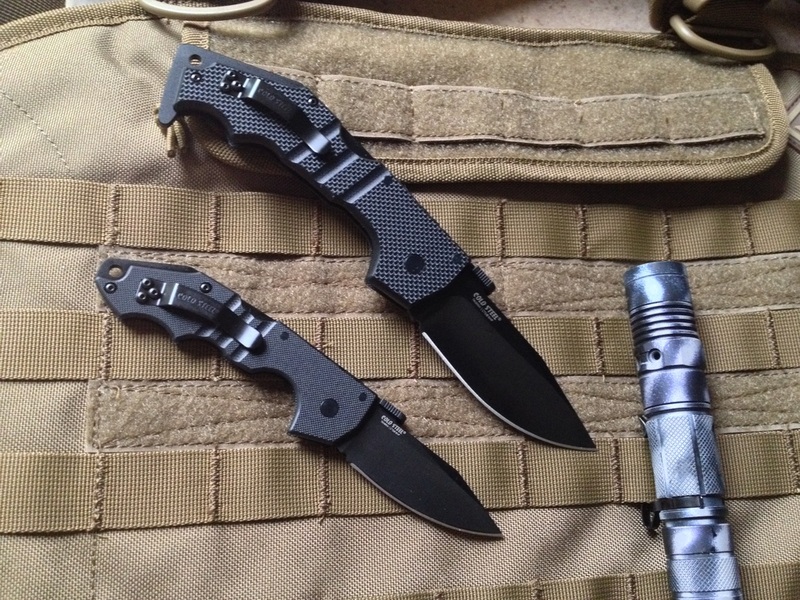 The mini is much more of a tactical EDC while the larger is like a folding fixed blade. Both stand at the top in terms of lock strength & it's the Tri-Ad lock that makes this knife so reliable & trustworthy. // Personally the Mini AK47 design is more visually appealing in dimensions than the larger AK47 model. For functional everyday convenient pocket carry this new slimmer profile really is comparable to the famous Spyderco Sage 2. The Mini AK47 only has a partial pinky grip but the knife is the backed by the proven Tri Ad lock and if you are looking to take on any task in which you need a solid knife but you only have a folder on hand then the AK series is top of the line.